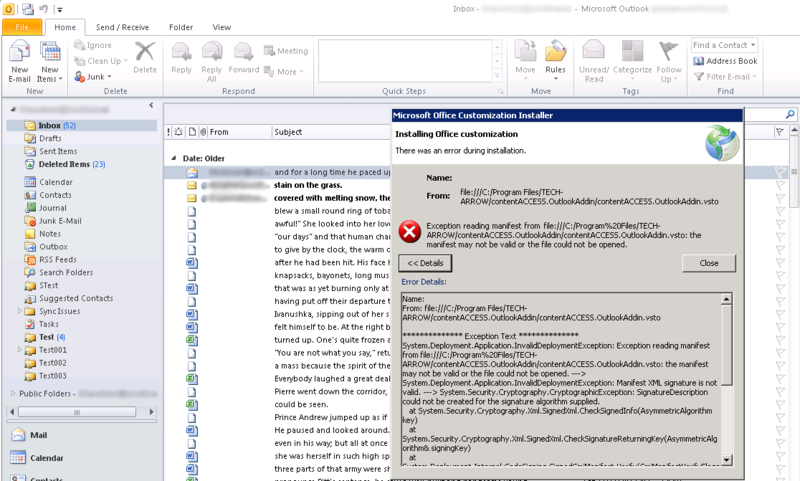 contentACCESS Outlook (VSTO) add-in does not work because of certificate issue. It means that Outlook is not able to load the add-in correctly because of certificate signature algorithm. Our contentACCESS Outlook add-in supports SHA2 signature. It can cause problems when using with older Outlook clients. This thread will also help you with solving the issue.